Bobby Howard, MD, Chair of Obstetrics and Gynecology and Director of Maternal-Fetal Medicine, will relinquish his duties as OB/GYN chairman March 1 to meet the growing clinical responsibilities in Maternal-Fetal Medicine at The University of Tennessee Medical Center. 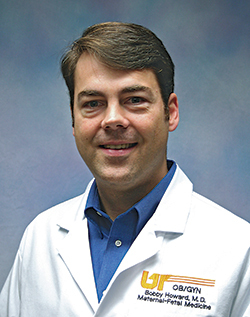 Larry Kilgore, MD, Professor, will act as Interim Chair while UT Graduate School of Medicine leadership conducts a search. Dr. Howard will continue his educational role as associate professor to the Department. James Neutens, PhD, Dean, thanks Dr. Howard for his service of more than five years leading and growing the department. 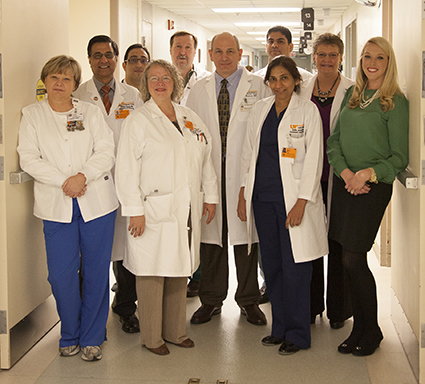 Physicians, residents, nurses, and other medical professionals work together for the success of patient care at The University of Tennessee Medical Center. Administration, faculty, residents and staff at the UT Graduate School of Medicine and the medical professionals at The University of Tennessee Medical Center are developing an interdisciplinary teamwork approach to prepare for new educational performance reviews and to earn highest national honors in excellence in the healthcare setting. The Accreditation Council for Graduate Medical Education (ACGME) has established the Clinical Learning Environment Review (CLER). Unlike the previous ACGME accreditation review that evaluates institutional policies and procedures and satisfaction of the residents, CLER assesses the learning environment and integration of residents into the quality improvement and patient safety initiatives of the hospital, in this case The University of Tennessee Medical Center. A site visit is expected in the first quarter of 2014. During this visit, the institution will be evaluated on six focus areas: patient safety; quality improvement; transitions in care; supervision; duty hours oversight, fatigue management and mitigation; and professionalism. Regular site visits are expected to follow every two years. As leadership from both UTGSM and the medical center work together on integration of medical staff to meet the objectives of CLER, another goal is being realized. This integration helps the medical center prepare for a second site visit from the Tennessee Center for Performance Excellence (TNCPE ). The goal is to meet standards of eligibility for a Malcom Baldrige National Quality Award. The Baldrige Award is the only formal recognition of performance excellence of both public and private U.S. organizations given by the president of the United States. The Baldrige Criteria for Performance Excellence serve two main purposes: to help organizations identify strengths and areas for improvement and ultimately to serve as a role model to other organizations. A TNCPE Level 4 Excellence Award is the first step to earning Baldrige Award eligibility for the medical center. Through a methodology based on the Baldrige Performance Excellence Program, TNCPE provides organizations with detailed feedback that they can use to improve their processes and results. Last year, the medical center was awarded a TNCPE Level 3 Achievement Award. To reach level four, further integration of medical staff into interdisciplinary teams is needed. Through this evaluation process, the team members of the medical center collectively benefit by working for an institution dedicated to providing valuable jobs and quality and safety to patients, which ultimately improves patient outcomes. "Low-dose CT lung cancer screening gains support"